Reduce Your Stress Levels with A Brain Sensing Headband. While a Heart Rate Monitor measure your heart rate, and an oximeter measure your O2 saturation can the Muse Brain Sensing Headband sense your brain activity. This interesting product is developed by a company called InteraXon in Toronto by people who are both neuro-scientists and fashion designers. It feels like the future and reminds me of gadgets from science fiction movies, but it is an actual product with proven technology. The developers think that having a healthy brain is equally important as having a healthy body, and I guess they are right. Your will have more success with your workouts and training when your mind is in balance. If you struggle with anxiety, this tool can help you overcome those problems too. It all comes down to be able to control how you think and be able to focus on the correct thoughts. In the segment of stress reduction products, I find this futuristic gadget to be a really cool looking device with a sleek design. So what exactly does it do and how can it help you reducing stress or anxiety? How Does A Brain Sensing Headband Work? When you sleep, think, relax or are stressed there are lots of activities going on in your brain as electrical impulses. All these impulses can be detected on the outside of your brain with the right tools. When you put on the Muse Brain Sensing Headband as a pair of glasses, several EEG sensors are in contact with your head – five on your forehead and two behind your ears. These sensitive voltmeters pick up the electrical brain impulses and can determine if you are focused on one task or if your mind wanders and are unable to concentrate. The data collected by the headband is transferred via Bluetooth in real-time to your smartphone or tablet. With the help of an app called Calm, you will get guidance on how to focus better and de-stress. The first time you use the Muse Brain Sensing Headband, you have to go through a calibration phase. Then you will go through the initial test and see on a graph how relaxed or active your mind are. When you have wandering thoughts, they are heard as the wind blowing, and when you are calm the wind stills. The screen on your smartphone or tablet also gives you visual feedback in the form of either a calm day or lots of clouds. Eventually, when you learn more and are able to focus new levels are opened in the software assisting you further in your focused attention training. It can take some time to master the functionality, but the instructions that follow in the package and the app itself are easy to understand. When you train your brain with the Muse Brain Sensing Headband and be able to control your thoughts, it is claimed that you will be happier, increase your memory and be able to learn faster. It’s a good feeling to understand how to reduce stress, and people claim it’s almost addictive. Just by using it 3 minutes a day, you will see progress. If you are into meditation this tool can help you improving your meditation techniques with real feedback on how your mind wanders which can be difficult to notice sometimes. As mentioned earlier this product is perfect for people with different kinds of anxieties because they with brain training will master how to focus on other things. Software developers use the open SDK that takes advantage of this gadget and its brain sensing technology and make you drive RC cars or control games just by thinking. Eventually, you will be able to control all sorts of things in your daily life like televisions and computers or maybe even drive your car. Where Can I Buy Muse The Brain Sensing Headband? 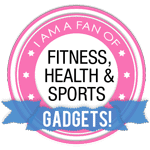 If you want opinions from other users, check out the reviews on the Brain Sensing gadget here. Do you have any questions or comments on my Muse Bluetooth EEG Headset, do not hesitate to send me an e-mail on andreas@newfitnessgadgets.com or leave me a comment below. I have a bio feedback system with sensors for the fingers which connects to computer via usb. Yes it’s a cool gadget. 🙂 Do you know the name of your bio feedback system? Sounds interesting. I recently just got an email about this and have been interested in finding out more about it. It’s really does feel like going into some futuristic time period, woooo. We live in the future. 🙂 And it’s so fun. The nice thing about this one is that you get happier and less stressed after a while and its addicting. This sounds like a fascinating device. I may have to splurge on it!